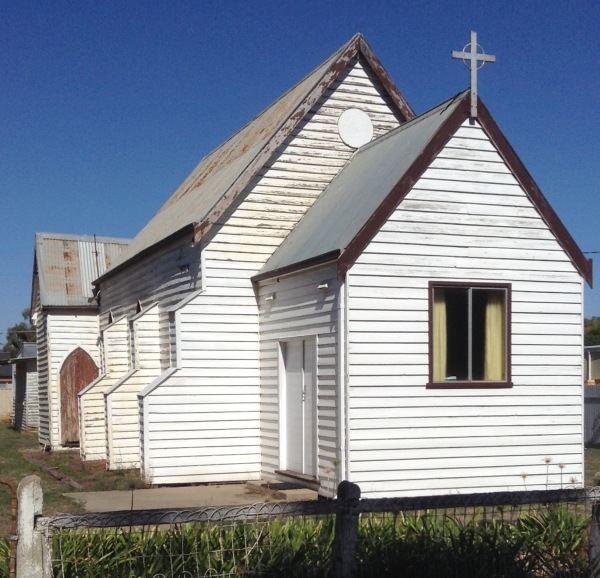 The Anglican Parish of Cobram with Strathmerton, is located on the banks of the Murry River, 262km north of Melbourne. It is a border town. Barooga is across the river in New South Wales, 5 km north of Cobram. These twin towns are referred to as Cobram-Barooga. The parish is in the Diocese of Wangaratta, which covers the north-east of Victoria and the Albury district in New South Wales. 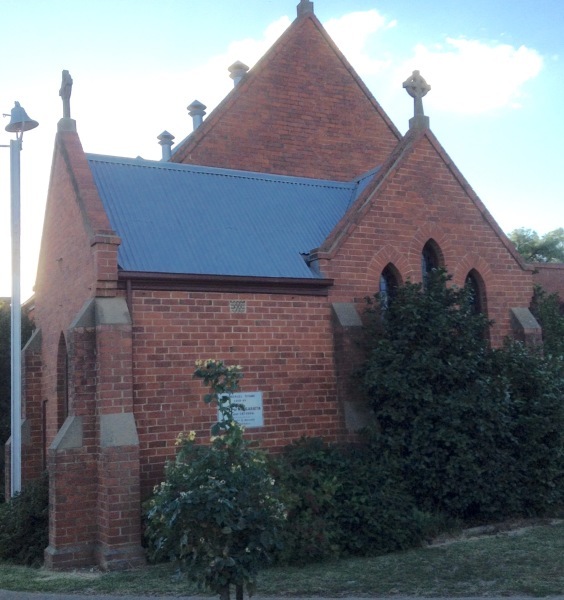 The parish has two centers, St Margaret’s Cobram and St Aidan’s Strathmerton. The area was first settled in 1845 when Cobram Station was established at Cobram East. In 1886 the government of the day commissioned the preparation of a town plan at the present site. During 1888 the following services came to the town; the Post Office, Primary School, Court House and a Police Station. A river punt across the river started operations, the Royal Hotel opened, the railway came to town and the Cobram Football club played it’s first match. The town has come along way over the years. Post war years provided; An influx of Italian immigrants, many of whom established orchards producing a wide variety of fruit. Increased broad acre farming cropping wheat, barley, oats etc. The government acquired land in the Yarroweyah area for a returned soldier settlement, many of whom entered the dairy industry. In 1950 a ‘bunch of cow cockies’ not happy with the price being paid for milk, had a meeting in Cobram and established The Murry Goulburn Co-Operative, which now collects 35% of Australia’s milk produce from various operations it has established throughout south eastern Australia. The area is blessed with a Mediterranean climate with hot dry summers and cool wet winters, with an average of 300 days of sunshine per year. The flat rolling irrigated plains are ideal for various farming, while the Murry River provides broad sandy beaches for swimming, water sports, fishing and camping. It is a mecca for tourists. Indeed Thompsons Beach is said to be the largest inland beach in Australia. There are wineries and olive plantations. Today Cobram is a well serviced progressive town with a modern shopping precinct which has two major supermarkets and an extensive industrial area. It is home to a multicultural population. Strathmerton is a small country town in Victoria, Australia. It is located in the Shire of Moira local government area on the Murray Valley Highway and Goulburn Valley Highway, about 11 kilometres (7 mi) west of Cobram. At the 2011 census, Strathmerton had a population of 941. Strathmerton Post Office opened on 1st September 1879. In 1888 on the arrival of the railway a Strathmerton Township Post Office opened near the station. In 1891 this was renamed Strathmerton. was known as the intersection of the Goulburn Valley Highway and the Murray Valley Highway and was the furthermost town directly north of Melbourne still in Victoria. The Kraft factory in Strathmerton was acquired by Bega Cheese in December 2008 with Bega claiming that production will double in the following five years.